THE Federal Government has at last recognised Anambra as one of the oil producing states in the federation. The post FG confirms Anambra’s status as oil producing state appeared first on Vanguard News. Royal Dutch Shell paid a total of $4,322,742,582 (about N1.5 trillion) to the Federal Government in 2017, according to its annual payments report. The post Shell paid N1.5trn to FG in 2017 appeared first on Vanguard News. Edo State Governor, Mr. Godwin Obaseki, has charged the Police in the state to bring the kidnappers of the late Pastor Pius Eromosele to justice. The post Odighi kidnapping: Obaseki charges Police on culprits’ arrest appeared first on Vanguard News. FORMER Delta State Governorship aspirant, Chief Sunny Onuesoke has described President Buhari's declaration for as a second term as an insult on Nigerians. 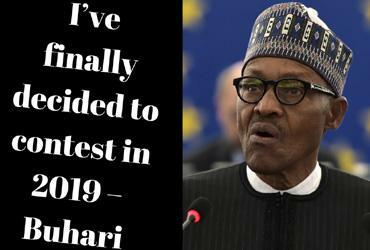 The post 2019: Buhari’s declaration for second term, an Insult … – Onuesoke appeared first on Vanguard News. Eusebio Di Francesco has dismissed any lingering questions over Lionel Messi’s fitness and wants Roma to restrict him again in the second leg of their Champions League quarter-final against Barcelona. The post Messi is fit as fiddle, Roma coach warns appeared first on Vanguard News. The naira Monday commenced the week with a 32 kobo depreciation to N360.33 per dollar, in the Investors and Exporters (I&E) window of the foreign exchange market. The post Naira depreciates to N360.21/$ in I&E appeared first on Vanguard News. THE European Union, EU, yesterday, said that the various water and sanitation projects in Edo State on which it is collaborating with the state government are on course, contrary to an allegation by the Peoples Democratic Party, PDP. The post Edo water, sanitation project on course —EU appeared first on Vanguard News. Pep Guardiola has challenged his Manchester City team to play “the perfect game” to overcome Liverpool in the Champions League quarter-final second leg at the Etihad Stadium tonight. The post Champions League: Guardiola demands ‘perfect game’ from players appeared first on Vanguard News. Mohamed Salah has been warned off leaving Liverpool by former Egypt coach Hassan Shehata, with any switch to Real Madrid set to leave him in the shadow of Cristiano Ronaldo. The post Don’t join Real Madrid, Shehata warns Salah appeared first on Vanguard News. No less than 25 rooms belonging to different family members of Ola-Oti Compound and 12 shops were razed in an inferno that occurred in Kankatu area of Ilorin, the Kwara State capital on Monday. 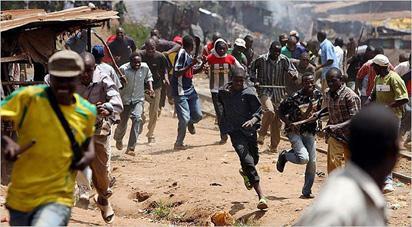 The post Fire destroys 25 rooms, 12 shops in llorin appeared first on Vanguard News. Russian Premier League result on Monday: The post Russian Premier League result appeared first on Vanguard News.